I am a long-time fan of Jimmy Webb, at least since the first time I heard ‘MacArthur Park’ in 1967-68. It was my then-boyfriend and my ‘song’ because of the reference to a ‘yellow cotton dress’! I have never seen him perform, but I am remedying that situation on January 24th at Crest Theatre at Old School Square in Delray Beach, and you can too by clicking here to buy tickets! Tickets are $57 reserved/$77 premium; $408 premium club seating (via box office only) – 561.243.7922. “Multiple Grammy-winning songwriter Jimmy Webb has topped the charts from pop to country to disco numerous times with interpretations by some of the industry’s greatest, from Glen Campbell to Art Garfunkel to Linda Ronstadt and so many others. Whatever one’s preferred genre of music, chances are there’s a Jimmy Webb song on your personal playlist – “MacArthur Park,” “Wichita Lineman,” “Up, Up and Away” – touchstones for a generation that continue to be covered by new artists. Now in his touring show “An Evening with Jimmy Webb” and his new literary memoir, THE CAKE AND THE RAIN (St. Martin’s Press: $26.99), Webb brings fans of his music a unique connection to their favorite songs, revealing the stories behind his hits and a career trajectory that took a teen preacher’s son from a farm town in Oklahoma to the top of his longed-for profession, with pitfalls and blessings in equal measure between. “In concert, the man who gave the world what has been called “the first existential country song” (“The Highwayman”) and confounded generations of radio listeners with the brilliance of a lyric about a cake left out in the rain enhances his virtuoso performance of iconic tunes with riveting tales of the inspiration behind some of pop music’s biggest songs and singers, and a humorous tour into the days and nights of a songwriting prodigy, a lesson in pop culture, an insider perspective on the Nixon Sixties, the Rat Pack heyday, the London Mods, Laurel Canyon and more, told by a charming yarn spinner who hasn’t lost sight of his roots despite decades of international fame. 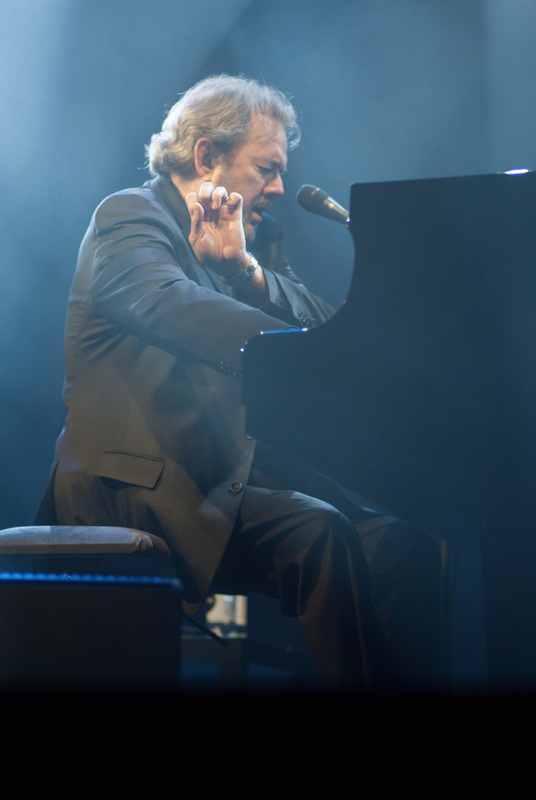 More than a concert, an evening with Jimmy Webb in performance is a master class you can sing along with. As Webb performs five decades of music on this tour, the songs prove evergreen, resonating with his longtime fans as well as new devotees introduced to the music through covers by modern chart toppers including Kanye West (“Do What You Gotta Do” sung by Rhianna on “Famous”), Five for Fighting (“All I Know”), Rumer (who stormed the UK in 2012 with her take on “P.F. Sloan”) or any number of reinterpretations of “Wichita Lineman” by R.E.M., Urge Overkill, Keith Urban, Homer Simpson, and more. Songs made famous as recorded by an impressive and ever widening range of artists are discovered anew with revelations by the man who first brought them to life on the piano. “A close read of Webb’s memoir reveals gems like the genesis of songs like “P.F. Sloan,” as the details are woven into the stories he tells of his days in London and Los Angeles, navigating a world that fueled his lyrics and nearly broke him on more than one occasion. His songwriting style expanded in the longer format of a memoir, Webb gives the reader access to pivotal moments during the music scene of the 1960s and 70s — in the recording studio with Paul McCartney, riding Mr. Sinatra’s private elevator for a one on one meeting, elbow to elbow with Elvis, the first meeting that sparked his decades-long partnership with Glen Campbell and more. “Memoir available wherever books are sold. “Jimmy Webb’s numerous accolades include the prestigious Ivor Novella International Award (2012) and the Academy of Country Music’s Poet Award (2016). Webb was named in the top 50 of Rolling Stone’s 2015 “100 Greatest Songwriters of All Time.” He received his first gold record at the age of 18, was the youngest inductee into the Songwriters Hall of Fame (which he later chaired). He is the only artist to ever receive Grammy Awards for music, lyrics, and orchestration. Webb’s first book, Tunesmith: Inside the Art of Songwriting, is considered a “bible” among professional musicians and college students. He has time and again paved the way for songwriters in the ever-changing media landscape, pioneering commercial use of pop songs (“Up, Up and Away” as the centerpiece of the 1970 Trans World Airlines campaign) and spearheading the ongoing effort to preserve the rights of songwriters and their intellectual property rights in the world of free downloads with his ongoing work for nearly 20 years on the board of the American Society of Composers, Authors and Publishers (ASCAP). “Webb has released ten solo albums since the 1970s, while continuing to write for other artists. His CD Just Across the River features duets on some of his biggest songs with friends Billy Joel, Jackson Browne, Vince Gill, Willie Nelson, Linda Ronstadt, JD Souther, Glen Campbell, Lucinda Williams, Michael McDonald and Mark Knopfler. A follow-up, Still Within the Sound of My Voice, features Brian Wilson, Art Garfunkel, David Crosby, Graham Nash, Lyle Lovett, Carly Simon, Keith Urban, and more. “In October 2016 Webb premiered his first classical piece, “Nocturne for Piano and Orchestra (Nocturne for “Lefty”)” with Orchestra Kentucky. His brilliantly written memoir, The Cake and the Rain (St. Martin’s Press, April 2017), brings Webb’s unique career into focus, written with the same sense of poetry and story as his many hits. Posted on January 13, 2018, in concert announcements, music, Uncategorized and tagged concert announcement, Crest Theatre, Delray Beach, Florida, Jimmy Webb, MacArthur Park, music, Old School Square, The Cake and the Rain, Wichita Lineman. Bookmark the permalink. 2 Comments. I saw Jimmy Webb in November at Daryl Hall’s club in Pawling, NY. It was a phenomenal show and he told some great stories and played every one of his hit songs. You realize how literate he is and what an amazing pianist he is and then you understand how he could have written and scored these songs. I also read his autobiography and it was a great read.